Comics: Who Will Shape the Future of Marvel NOW!? 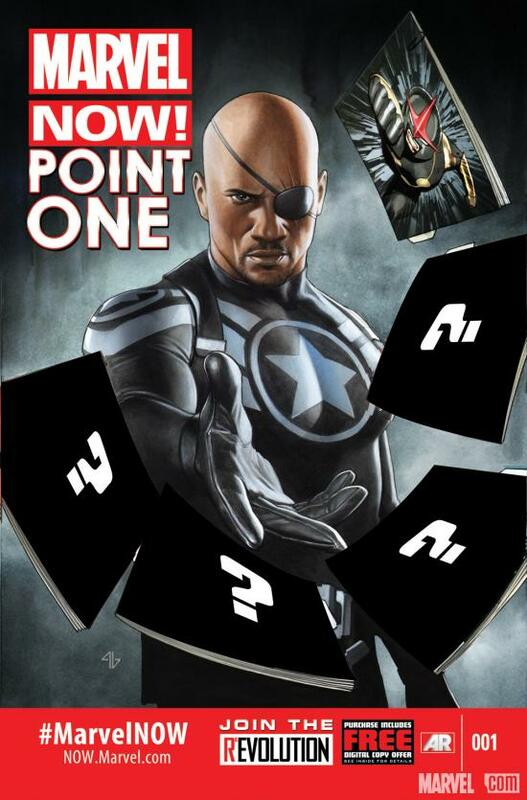 When Marvel starts their relaunch initiative Marvel NOW! in October, there will be one special issue that you might want to pick up if you’re even thinking of getting involved. 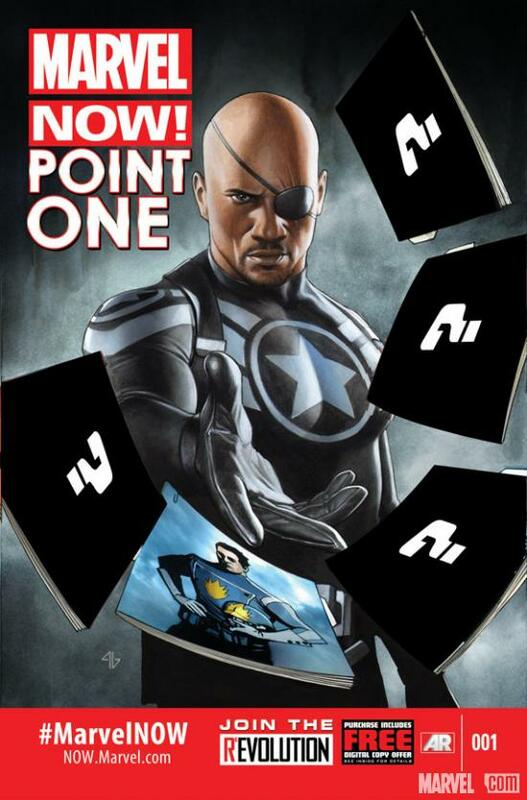 This standalone anthology is simply titled Marvel NOW! Point One #1 (a reference to the Point One initiative they did about a year or two ago). 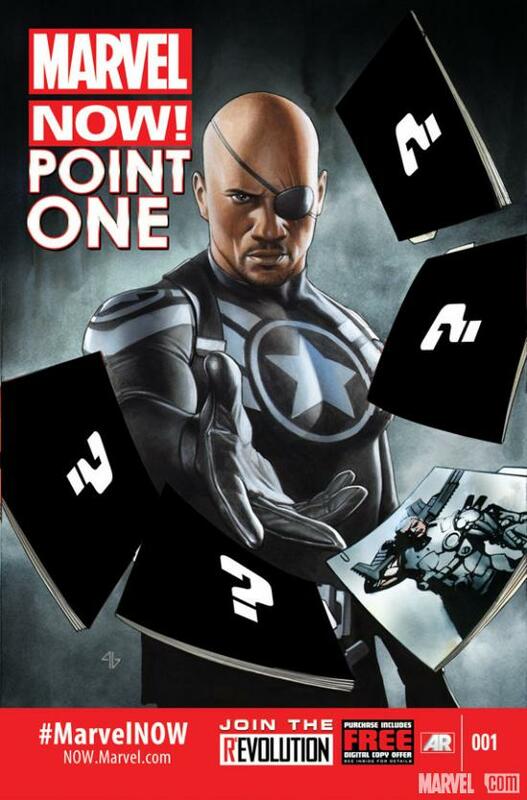 What this title implies is that the one shot will focus on several different characters from the Marvel U who apparently will hold an important place in the events that will unfold from Marvel NOW! 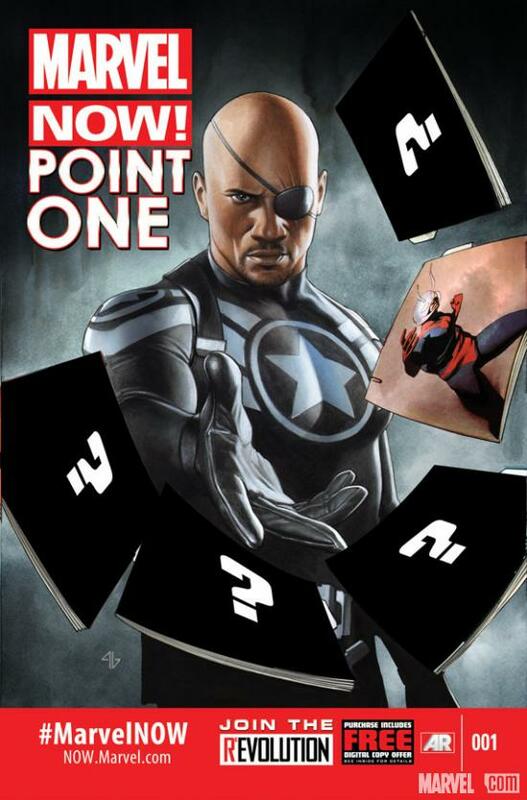 The issue will be co-written by Brian Michael Bendis, Matt Fraction, Jeph Loeb, Nick Spencer, Kieron Gillen, and Dennis Hopeless with art by Michael Allred, Ed McGuinness, Steve McNiven, Jamie McKelvie, Salvador Larroca, and Luke Ross and the Cover by Adi Granov. 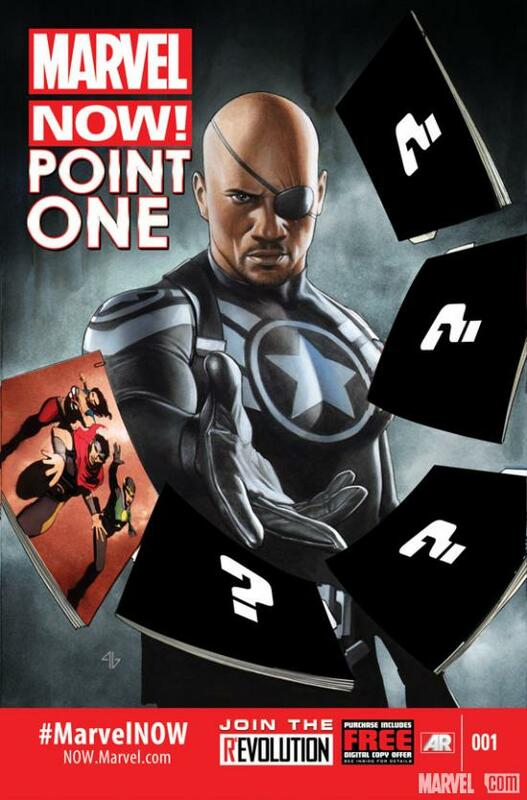 As you can see in each teaser poster, Nick Fury jr. has files on all of these characters ready for you to look at. The ones depicted are Nova, Ant-Man, Cable, Star-Lord, Loki, Wiccan and Miss America. Does this mean all of these characters will be getting their own titles? Hard to say at this point, but considering the amount of emphasis that Marvel is putting on them at this point I’d say it’s a good shot. Check out the covers below revealing each.